Welcome to a brand new blog post! Halloween is just around the corner and as Lush are infamous for their Halloween ranges, I thought that today I would tell you all about their Halloween range for 2017. Let's bathe in these spices! This product is named well after the item that it resembles... A Pumpkin! 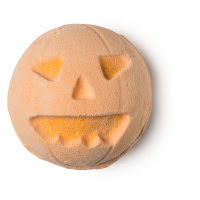 This bath bomb contains Allspice Oil, Vanilla Absolute and Cinnamon Bark Oil which gives the product a scent that resembles a Pumpkin Pie due to the spices that are used in the Pie are the same as what are used in the Bomb. I think that this is a great one if you like Pumpkin Pie or want something a bit cosy in your bath! £4.25. LOM is a Bath Bomb that is bright green but inside lies a Red as Wine interior which I think is quite comforting. If you want to drink a glass of Red Wine to go along with the interior of this product then I'm not going to stop you. This bath bomb contains Black Pepper & Patchouli Oils and Vanilla Absolute which gives the product a spicy but sweet scent. It also contains Popping Candy which gives the product a bit of drama! I think that this would be great for a cold Autumnal Evening and you can always team it up with the LOM Shower Cream, £3.95. Ectoplasm is a Jelly Bomb that is around for the 'Spooky Season'. If you haven't tried a Jelly Bomb then the best way to describe is well a Bath Bomb with Jelly that is made from Seaweed. If you've tried the Shower Jellies before then imagine putting one of them into the middle of a Bath Bomb. They do create a weird texture in the bath water but after a while, the Jelly dissolves into the water and just makes your skin feel extra smooth! This product contains Tangerine and Grapefruit Oils which help to uplift the mind and soul and make the bath smell Citrusy! This product also has a little friendly Ghost on the top of the bomb to ensure that you know that it's for the Halloween season! £4.95. Meow! 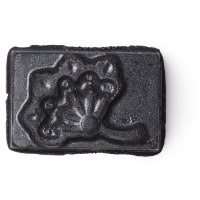 If you instantly think of Black Cats when it comes to Halloween and Witchcraft then you will love this Bubble Bar! 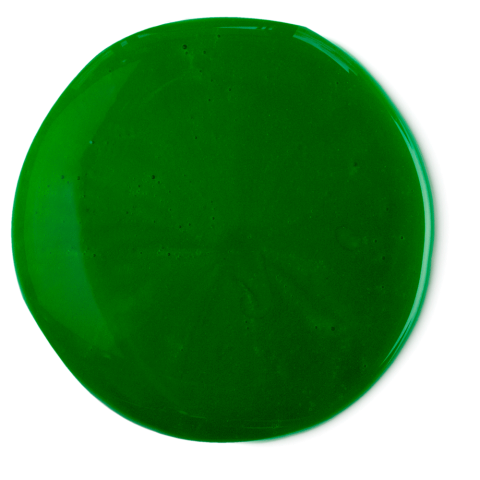 This product contains Olibanium and Bergamot Oils which give the bar a sweet but deep scent. This product shares the same scent as the legendary but now gone Blackberry Bath Bomb. £4.25. 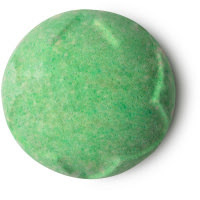 The perfect Bubble Bar to use before going to the Ball! The infamous Sparkly Pumpkin is back for 2017! This product contains Juniperberry Oil (Juniperberries have antiseptic properties), Lime and Grapefruit Oils which give the Pumpkin a deep but bright scent. It also contains a dusting of Lustre and a Cinnamon Stick to make sure it looks like a miniature Pumpkin. 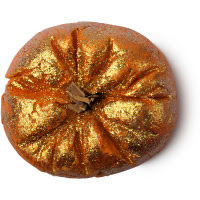 You could always use a tiny bit and pair it with the Pumpkin Bath Bomb if you were feeling extra luxurious! £4.25. The concept of Hedgewitch is that there used to be Hedge Witches who created ailments via using items that they found in the hedgerows and the like. This soap has a base of Fair Trade Organic Cocoa Butter and Extra Virgin Coconut Oil which keeps skin smooth in the cold Autumn weather. It also contains Honeysuckle Flower Infusion, Osmanthus Absolute (Plums), Pettigrain Oil, Sicilian Mandarin Oil and Freeze Dried Blackberries which give the product a deep but fruity scent. £5.94 per 120g. Bibbidi Bobbidi Boo! 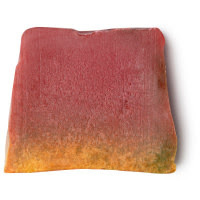 This soap just looks like something you would love to have in your bathroom in Halloween/Bonfire Night sort of season. This soap contains Orange and Tangerine Oils, Pomegranate Molasses and Charcoal which is one of the top beauty trends at the moment. Charcoal also obviously helps with the colour of the soap. £4.50 per 120g. Lord Of Misrule Shower Cream. There isn't that much difference between the Bath Bomb and Shower Cream but the Shower Cream contains a Patchouli and Peppercorn Infusion and Fair Trade Organic Cocoa Butter to nourish the skin and make the texture more of a cream. I love the colour of this product as it's a deep Green and it stains the skin slightly in my opinion before you massaging onto the skin which means you can sometimes pretend to be Shrek if you want. (It washes off, don't worry.) From £10.95. Roses aren't Red and Violet's aren't Blue. This lip scrub is available for Halloween in a Naked and Packaged version. 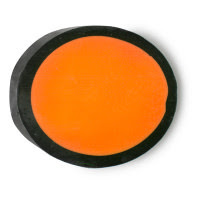 The Naked version is more of a solid block that you can glide over your lips for ease. This product contains Caster Sugar which well makes up the Scrub part of the Lip Scrub. ,Murumuru and Illipe Butters to keep lips soft after scrubbing, Mandarin, Spearmint and Ylang Ylang Oils which give the a deep but slightly fresh scent and Charcoal which gives the product it's colour. £5.75. This is similar to the Lip Scrub but instead of the Caster Sugar, this product contains Candelila Wax, Rose Wax, Sunflower Wax and much more. There is also a naked and non-naked version of this product. 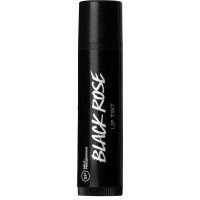 Lip Tints are used as sort of a Lip Balm crossed with a Lip Gloss. £6.50. This Shimmer Bar will definitely give you a glow for those nights where you want to sparkle as this product contains Green, Gold, Purple and Silver Lustre! This bar is also meant to nourish the skin which it does via Illipe and Cupuacu Butters. It also contains Bergamot, Grapefruit and Almond Oils which give this product a deep but slighty fruity scent. 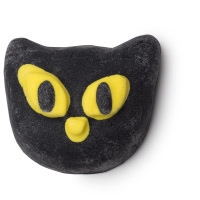 What's your favourite Lush Halloween 2017 product? Let me know down below! If you want to check out anything else from Lush then click here. I hope that you've enjoyed this beauty based blog post and I hope to see you next time for another blog post.